The second downloadable content pack for the most successful game launch of all time, Call of Duty: Black Ops, has been leaked ahead of its May arrival. Dubbed 'Escalation' the DLC has appeared early thanks to leaked promo material by GAME Australia outing the upcoming release that is set to bring five new map packs to the war based first person shooter that broke all launch records when it hit consoles late last year. 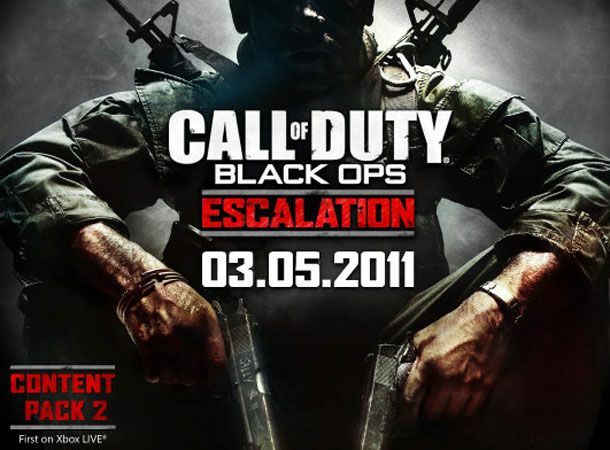 Set to hit Xbox Live on May 3rd, with PS3 and PC packs to follow at a later date, no doubt much to the annoyance of PS3 gamers who have repeatedly complained about an inferior Black Ops offering, the Escalation DLC will feature missions entitled 'Seize the Zoo', 'Take the Hotel', 'Secure the Convoy', 'Raid the Stockpile' and 'Survive Call of the Dead'. Following on from the opening Black Ops content pack, First Strike that launched on February 1st the second Black Ops DLC will land within days of the official announcement of the next addition to the Call of Duty franchise, believed to be Modern Warfare 3 that is to launch later this year. Is Black Ops the greatest instalment of the COD franchise or is the best still yet to come? Share your thoughts via the T3 Twitter and Facebook feeds.